Kenny Hawkes was one of the pioneering artists in British dance music. Influenced by the sounds of Hip Hop, Ska, Motown and Dub Reggae as he grew up, he became manager of legendary pirate radio station Girls FM in the 90's, where he became close friends with Classic boss Luke Solomon. The pair went on to run the longest running mid-week house night in London, Space at Bar Rumba. Sadly Kenny died on 10th June 2011, and Luke has spent a number of years helping his daughter Inez gather all of her Dad's assets, and with her approval, Classic are releasing this single as a tribute to the legendary Dark Knight of House Music. 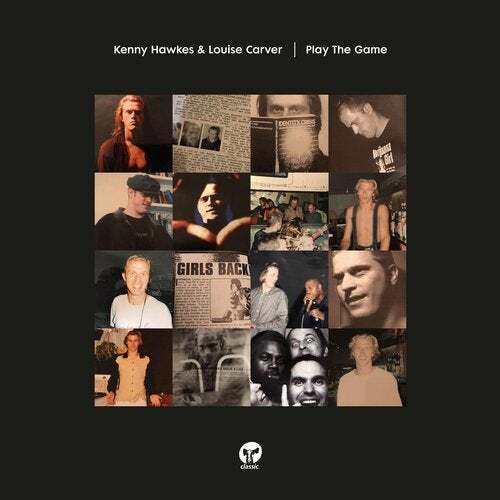 Featuring the smooth vocals of South African artist Louise Carver, this package contains the original record in all its glory, along with the Space Children Love Mix, as Luke Solomon, Jonny Rock & Leon Oakey lovingly remix their dear friend's record, giving a multitude of nods to Kenny's DJ sets and musical style. The release also features dynamic remixes from Dario D'Attis and Till von Sein, as well as the futuristic 'Play The Dub'.